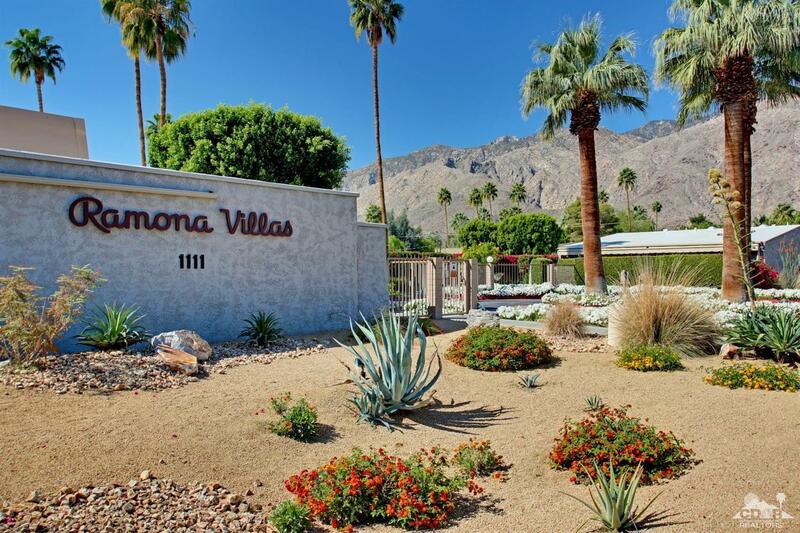 Precious remodeled single level Ramona Villa Condo. Highly desired modern, contemporary villa designed by famed architect Albert Frey. 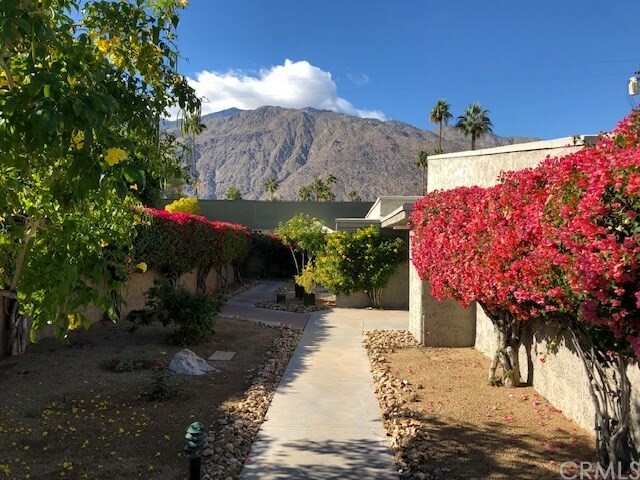 Gated community that is in close proximity to Downtown Palm Springs and is just steps from bus stop. NEW flooring throughout. NEW interior paint. NEW Kitchen Granite counters & cabinets. NEW Stove, Dishwasher, & Microwave. Nice private patio area for relaxing & entertaining. Storage room. The community features a LARGE Clubhouse, sparkling saltwater pool & spa, tennis courts, Billiard table and card game tables. Adequately equipped fitness room with sauna and showers.